In 1904, Dr. Elias G. Brown, a renowned educator, his assistant and six intrepid boys paddled twenty-five miles up from the southern shores of Lake George to an isolated peninsula where they pitched tents next to the sparkling, glacial waters. That very spot was destined to become Adirondack Camp. Over the years, building materials were sledded over the thick ice that blanketed Lake George winters. Some of those early structures endure today, tangible evidence of the Adirondack virtue of constancy. A few decades later, Adirondack had established a reputation for “building the future leaders of our world." Its Gold Eagle, an award that celebrated campers whose character exemplified the core values of Adirondack Camp, was recognized as the oldest and most prestigious award in American camping. 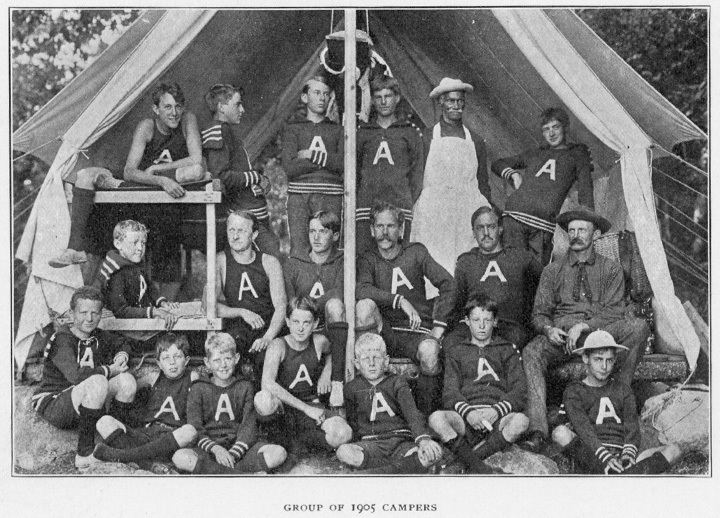 It was The Adirondack Camp For Boys back then when rituals such as the secrets of the Casbah, the recipe for Eagle Food, Crazy Kate, the “Russian Ambassador” and snipe hunting were an important part of camp lore. In those days no self-respecting Adirondack boy ever wore a bathing suit. 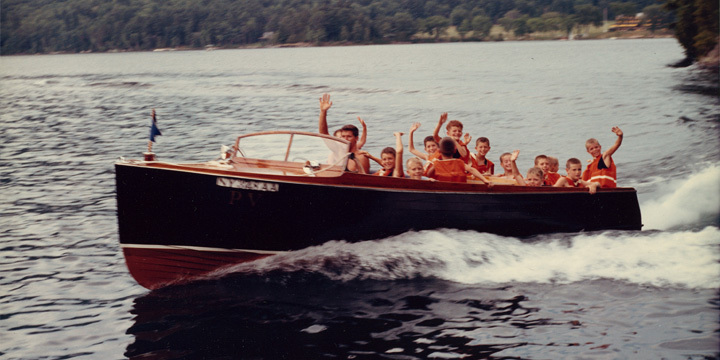 When the girls from Lake George Camp for Girls, a mile down the lake, would zip by in one of their Lyman motorboats-all the terrorized boys could do was yell “Fire in the icebox” and dive back in the water! By the late forties, ownership of the Camp had passed from Doctor Brown and his wife, to the energetic Colonel Bill Warrick and his wife, Jane. Promoting camping as a “character builder for young leaders," the Colonel also ran a military parade at the Seventh Regiment Armory in New York City called the Knickerbocker Greys; many of whom attended Adirondack. It was just after W.W. II when military traditions such as gathering round the flagpole in “retreat” formation, saluting the flag, roll call-followed by “All present and accounted for, Sir!” along with a cannon blast and bugle-were all begun. But those were not the only customs born back then. On the last night of every summer session, campers and counselors alike would gather silently under the stars, standing in a perfect circle at the top of the great field singing out songs of enduring friendship. The camp, now almost 110 years old, still celebrates many of these rituals, imbuing campers with a sense of history. Today, boys plant their burning candles by their cabin steps and girls sail theirs down the lake on “wish boards." The camp and surrounding waters transform into a patchwork of glimmering lights, transmitting an overwhelming sense of inclusiveness. It is these, and many other customs, that make Adirondack a truly traditional summer camp. In those years, the camp was an exclusive enclave for wealthy New York, Philadelphia and Boston families whose children attended the finest private schools. Soon, wealthy families from Venezuela and Cuba joined the community, making it an international summer camp, and adding a vibrant, diverse influence that is still a hallmark of Adirondack life. Campers could arrive in a special train originating from Grand Central Station. Pulling into a platform near Fort Ticonderoga (the site of significant French & Indian War battles as well as Benedict Arnold’s old command during our own Revolutionary War) they would complete the last nine miles of their journey at the back of an open truck; rich boys hauled like migrant farmers to a place that would soon “make young men out of them." Yet the Colonel, and the Browns were also forward-thinking, generous owners who understood the importance of diversity. That heritage, in the form of scholarship aid, endures today and there are presently an equal number of public and private school educated kids at camp. Though the disciplinarian approach of the mid century has been replaced by a kinder, gentler environment, the enduring commitment to character-building through adventure and a passion for the great outdoors, remain. Colonel Warrick’s sense of orchestrated fun has also long settled into our grain. Adirondack’s third owner, Bill Dooley was a Midwest kid who literally grew up at Adirondack. An educator and a soccer coach, he is to this day, a beloved alumnus who remembers and reveres every tradition. 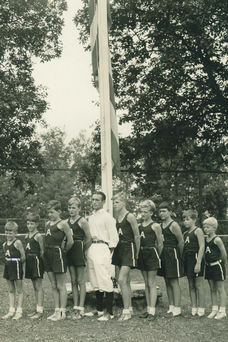 Under Bill’s rule Adirondack became a co-ed summer camp. Moss Lake Camp, moved its operation onto The Point and became Moss Lodge. 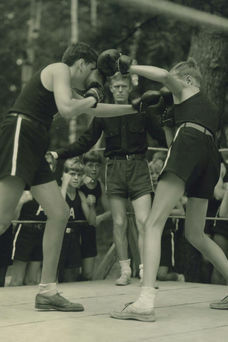 The girls took over what had been Intermediate Camp, a division which provided privacy between genders. Those years also saw the arrival of adventure sports including mountaineering and whitewater paddling. 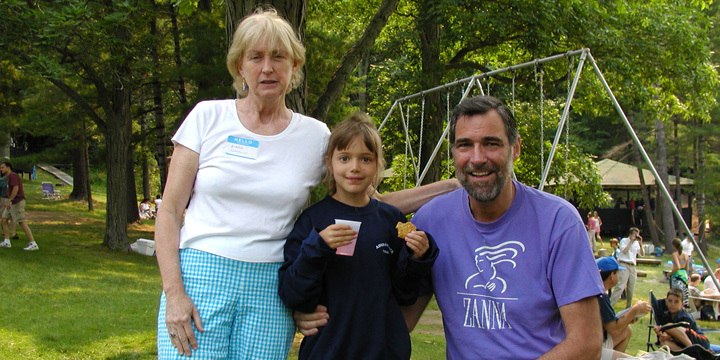 The brother-sister relationship between these two Lake George summer camps lasted until the summer of 1980. Both camps had fallen on hard times and Bill Dooley sold his beloved Adirondack, with a commitment from the new owners to turn it around. Alex Levitch had attended Adirondack Camp in the mid-fifties. His wife, Linda Goodwin, had been raised in Michigan where the pine trees also grew tall and lakes could ice up good in the winter. They had many reasons to love camp, the biggest one a daughter, who envisioned a future camp with girls as adventurous, empowered equals. 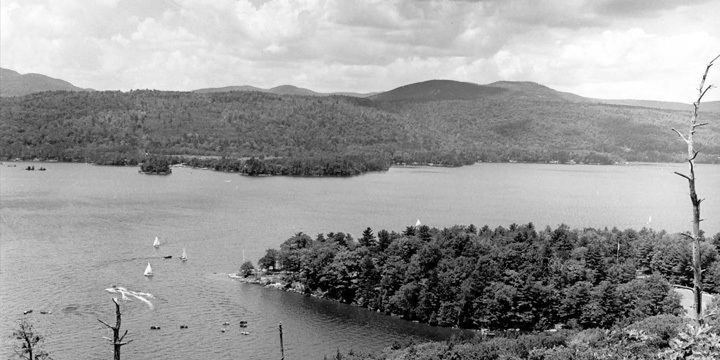 With the invaluable help of “Sir” Chris Geissman, an old camp friend who had become a fixture and sailing master at Adirondack, they merged the Moss Lodge and Adirondack programs; Adirondack was now a camp for boys and a camp for girls. Alex and Linda revitalized the camp with hard work and an aggressive advertising campaign headed with the copy, “Camp was so much fun I bought it.” The programs, activities and very mission of the camp were reexamined and analyzed. Lyrics to old songs were changed to be inclusive, safety rules were re-written and the tradition of calling counselors “Sir” became the vestige of a bygone era. Certainly, the new owners wanted to hold onto the camp’s core values but they also wanted to create a more creative, nurturing environment. Alex and Linda also wanted to honor the counselors who had served as the embodiments of “bold hearts, strong character." One of them, a man who spoke ten languages (“several of them simultaneously” was the standing joke), who told the longest bedtime stories and who built various enduring stone structures on campus was “Sir” John Halasz—for whom the fencing pavilion is named. Another was “Sir” Dud Maxim, a legendary swimmer and athletic director who twice each day of his 40 summers at Adirondack could be found swimming laps around the peninsula and who pitched a baseball so that both the weakest and the strongest could clobber it for a mile. 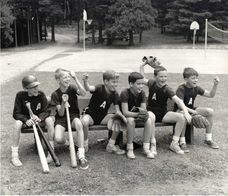 Now into its second century, Adirondack Camp cherishes its history as a boys camp and looks forward to the future as a summer camp for girls and boys – looking to shower generations of new campers with this magnificent labor of love.